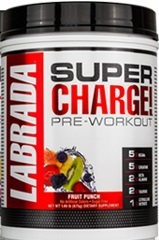 Labrada has released a brand new version of their popular pre workout Super Charge. It packs a TON of great ingredients all at effective doses. Lee Labrada is as synonymous with bodybuilding and supplements as just about any figure in the game today. Last year they launched the disappointing PE-1, which we thought would replace their other extremely popular pre workout offering, Super Charge 4.0 Xtreme. Apparently old Lee has some more tricks up his sleeve as Super Charge 4.0 stayed around, as did Super Charge Xtreme NO. Labrada has now released the all new Super Charge. It features a smaller profile than its predecessor and promises to increase energy, focus, strength, recovery, and most important of all, PUMPS! What’s in the new formula and should you consider adding it to your cabinet of pre workouts? Our first impression is this: the new Super Charge is “Cellucor C4 Extreme done right“. The 2015 version of Super Charge is a HUGE improvement over their 2014 pre workout, PE-1 which pixie dusted creatine and a few other ingredients. Here, Labrada corrects that mistake BIG TIME. loves “the pump” when working out, it’s something every gym bro wants to attain and hold on to for as long as possible. Arginine use to be considered the “it” ingredient in terms of facilitating the pump, but it’s now been replaced by much more effective ingredients. Citrulline Nitrate is Labrada’s patented pump inducer that’s a 2-in-1 pump aid. 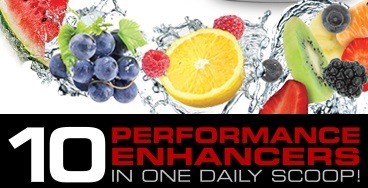 Numerous studies show that citrulline increases endurance, nitric oxide levels, and reduces muscle soreness. [1,2,3] It’s also feasible that bonding it with nitrates will increase bioavailability and induce better, longer-lasting pumps. The inclusion of nitrates adds a second element of boosting pumps. Nitrates are potent vasodilators in the body that increase blood flow to your muscles. [4,5] This increased blood flow translates into bigger, badder, and longer lasting pump! A bonus effect of nitrate use is that it also helps lower blood pressure! Here, we get the full clinical dose of 5g of creatine, which most pre workouts rarely do. Labara is correcting the ridiculousness that was in PE-1 by giving us the full amount we need to get all the benefits of this powerful ergogenic aid. To help fuel your workouts and keep that anabolic furnace burning bright, Super Charge uses the research-backed ratio of 2:1:1, which means in each serving, you get 2.5 of leucine, 1.25g of isoleucine, and 1.25mg of valine. Take note though that to get the maximum benefit from beta alanine, you want to get 3.2g worth, so may want to add some bulk BA to meet your daily needs. Taurine is a conditionally essential amino acid, and one of the most abundantly available in the body. It’s found in high concentrations in the brain, heart, and skeletal muscles. Taurine helps with “water-based” pumps due to the fact that it acts as a sponge and draws water into the muscles, which has the added benefit of improved hydration! If that’s not enough, taurine also boosts mental focus and when taken in conjunction with BCAAs has been shown to reduce muscle soreness. The combination of taurine and HydroMax will give you all the WATER based pumps you could ask for in Super Charge! HydroMax® is a highly-concentrated form of powdered glycerol (65%). This means it contains 65% glycerol, compared to other pre workouts that use glycerol monostearate (GMS), which is only 25% glycerol and 75% saturated fat! Typically we prefer to see the more heat-stable, and bioavailable for N-Acetyl L-Tyrosine, but this hefty dose of regular L-Tyrosine is commendable and should boost your focus rather nicely. For the first part of its stim kick, Super Charge intends to do just that (“charge” you up!) with a healthy 300mg dose of caffeine. This, along with our final ingredient, definitely makes this a one-scooper for the vast majority of users. Caffeine’s list of benefits are too long to name, but most know that it increases energy, focus, mood, and performance. Next to creatine, it’s one of the most effective and well-researched supplements in the game today. Our final ingredient is the patented Citrus Aurantium bitter orange extract (30% Synephrine), Advantra Z®. Initially it was used for its weight loss boosting ability, but it’s commonly added to pre workouts for its performance enhancing properties as well. Advantra Z® boosts energy levels while decreasing fatigue and the rate of perceived exertion! [26,27,28] On top of its workout boosting qualities, synephrine also induces lipolysis. This allows the body to use fat as a source of energy during your workouts and may help spare muscle glycogen. The new Super Charge packs 10 performance enhancing ingredients in 4 delicious flavors. Super Charge will come in four different flavors: Fruit Punch, Watermelon, Raspberry Lemonade, and Grape. These are fairly standard flavors compared with newer pre workouts are doing, but when done correctly these “common” flavors can make the difference between a great tasting pre workout and one you have to choke down. Labrada has certainly crafted a well-dosed pre workout with their latest incarnation of Super Charge. Not only have they included effective doses of all the ergogenics, but they’ve used high quality sources of the ingredients as well, as evident by the inclusion of CreaPure, CarnoSyn, and Advantra Z! In our opinions, this is basically “Cellucor C4 Extreme done right” – many of the same major ingredients, but in very legit doses. A very solid product for the “masses” who don’t want too many exotic stimulants. This is a welcome change of course from the debacle that was PE-1 and helps restore some faith in a company who has been in the game a long time and shows no signs of slowing down. How will it perform in an ever-growing market of well-dosed pre workouts? Only time will tell, but on the outside, this one should at least deserve a shot the next time you’re looking to purchase a pre workout or change up from your regular one, provided the price is right. End of the day, this is a quality pre workout aimed at the masses who are looking for the next thing past Cellucor C4 Extreme, and we’re thinking it’ll work out pretty well for that demographic. Just might need to start at ¾ scoop. No Comments | Posted in New Products, Supplement News | Tagged Advantra Z, BCAA, Beta Alanine, Caffeine, CarnoSyn, Citrulline Nitrate, Creapure, Creatine, Glycerol Monostearate, HydroMax, Isoleucine, L-Tyrosine, Labrada, Leucine, NO3-T, Synephrine, Taurine, Valine.